Today we’re going to talk about mashed cauliflower. It’s delicious. 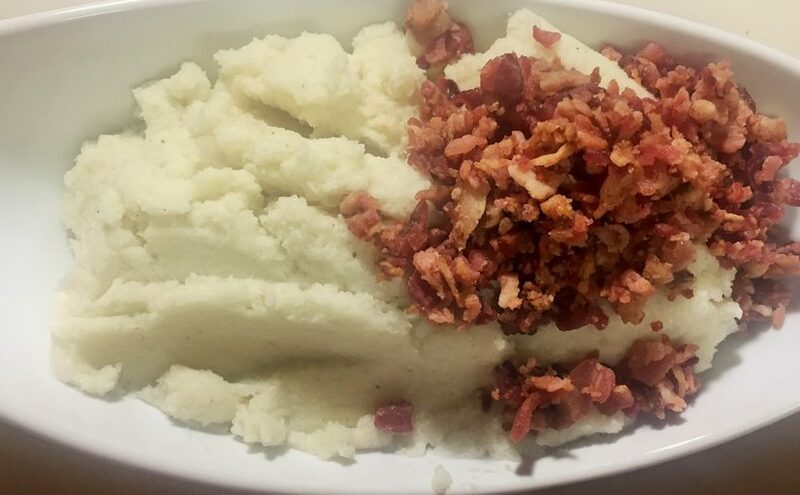 In fact, it has surpassed mashed potatoes as a favorite side in our house… which is no easy feat! 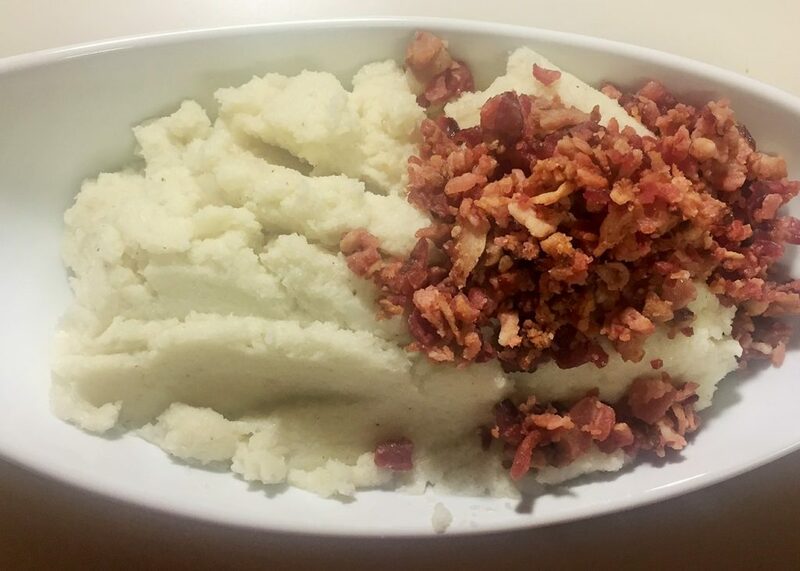 In looking for ways to eat a little bit lighter, I came across the idea of mashed cauliflower. I was skeptical… carb-lover that I am. We tried it anyway, and we’ve been in love ever since! 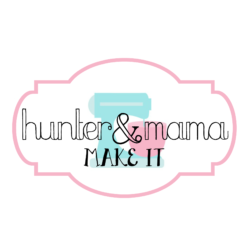 It was one of Hunter’s favorite first foods, and a regular request from Cale, too! Look! 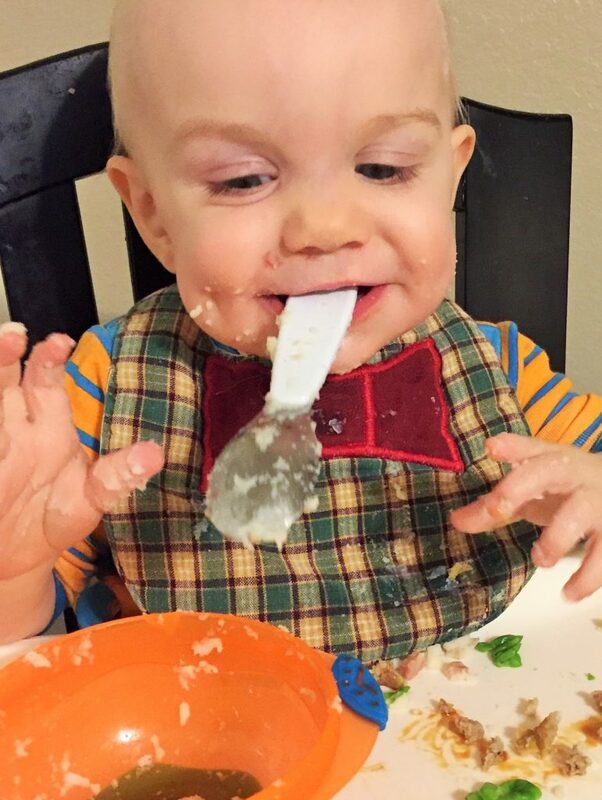 That’s a clean bowl from a one year old! This is an easy side dish. It’s even weeknight friendly! Start by washing one head of cauliflower and cutting it into chunks that will fit into your food processor. Add the cauliflower to a large pot of boiling water. Boil until the cauliflower is tender (I test with a fork after about 8 minutes). You’ll want this on the softer side so that it has a nice creamy texture at the end. 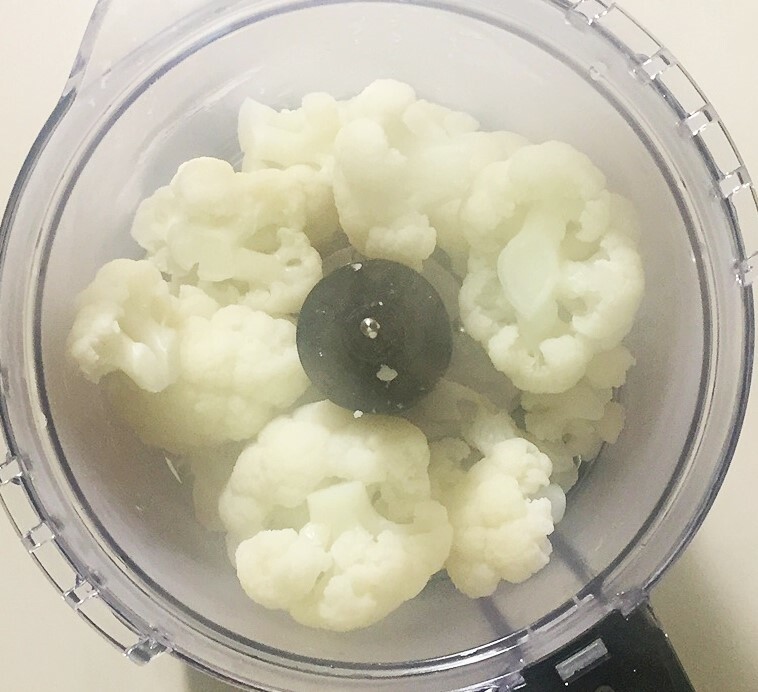 Reserve 1/4 cup of the cooking liquid before draining the cauliflower and transferring it to your food processor. If you don’t have a food processor, or yours isn’t large enough for this job, a blender works just fine! I just got a new, large capacity food processor… so of course I had to break it out for this job! Add the 1/4 c cooking liquid back to the cauliflower in the food processor. Then add 1 1/2 tablespoons of olive oil, 1 teaspoon of minced garlic, and salt and pepper to taste. Puree in the food processor until you get a nice, smooth mashed potato texture. Then, transfer to a serving bowl and fold in 1/4 cup bacon crumbles. Chances are, if you just put it on the table just like that… you might even fool some potato lovers! 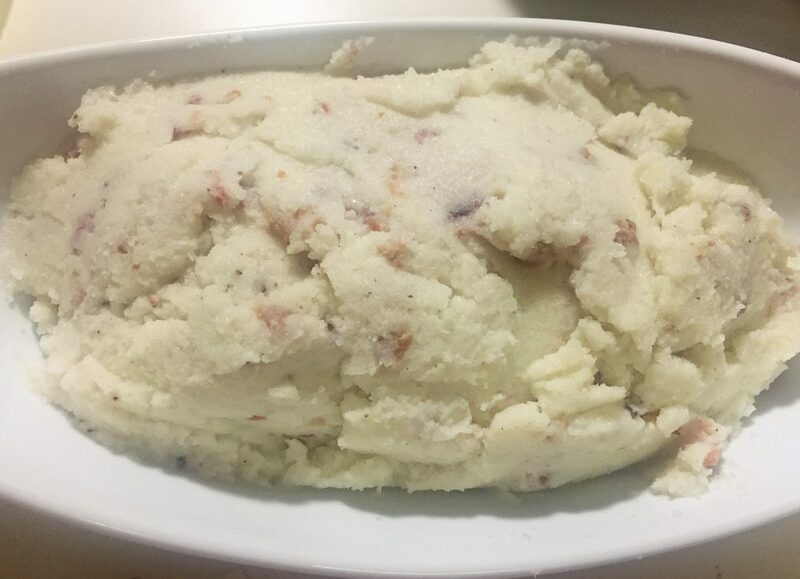 We don’t even feel the need to add butter or anything to ours, but feel free to serve it up true mashed potato style if you want! You could add butter or even some cheese if you felt like getting crazy! 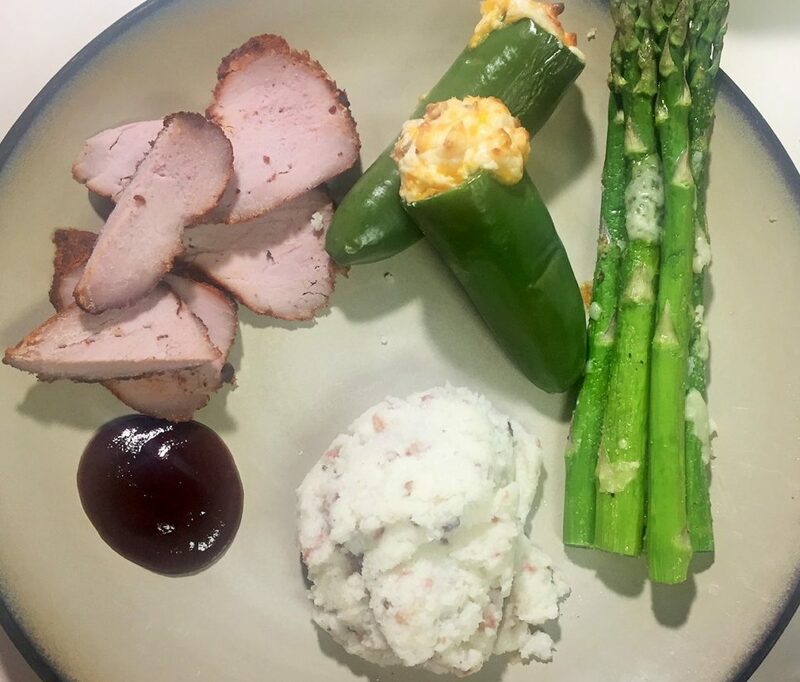 For this particular dinner, we served it up with smoked pork loin medallions and roasted parmesan garlic asparagus. 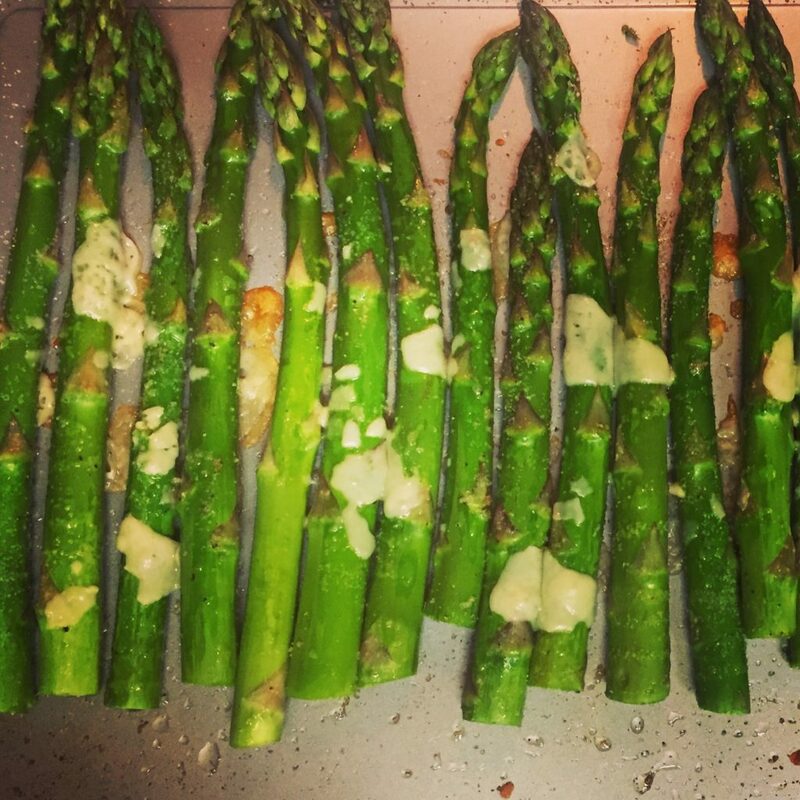 I shared the asparagus recipe on Instagram last week, you can click on the photo below if you missed it! Wash cauliflower and cut into chunks small enough to fit in the food processor. Add to boiling water and cook until tender, usually 8-10 minutes. Reserve 1/4 C cooking liquid, then drain cauliflower and transfer to a large food processor or blender. 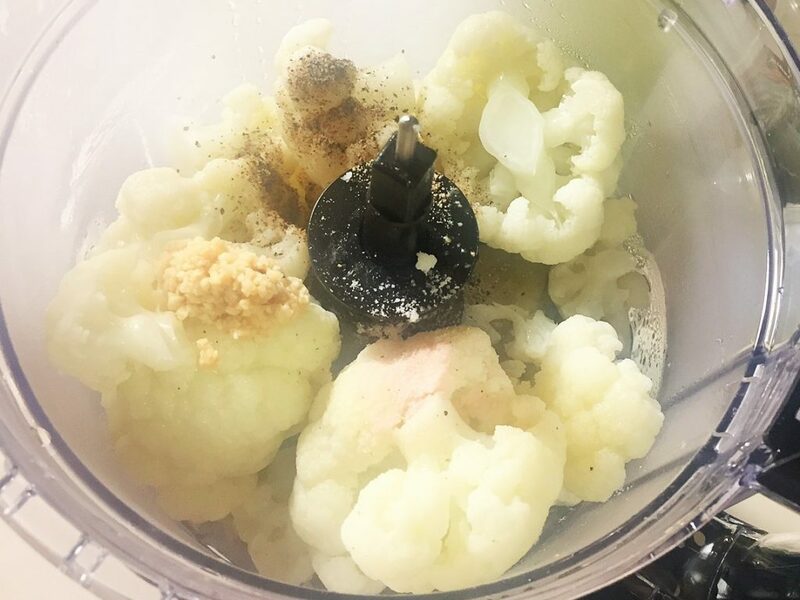 Add cooking liquid back to cauliflower in the food processor. Next, add olive oil, garlic, salt and pepper. Puree until smooth. Transfer to a serving bowl and fold in bacon crumbles if desired.